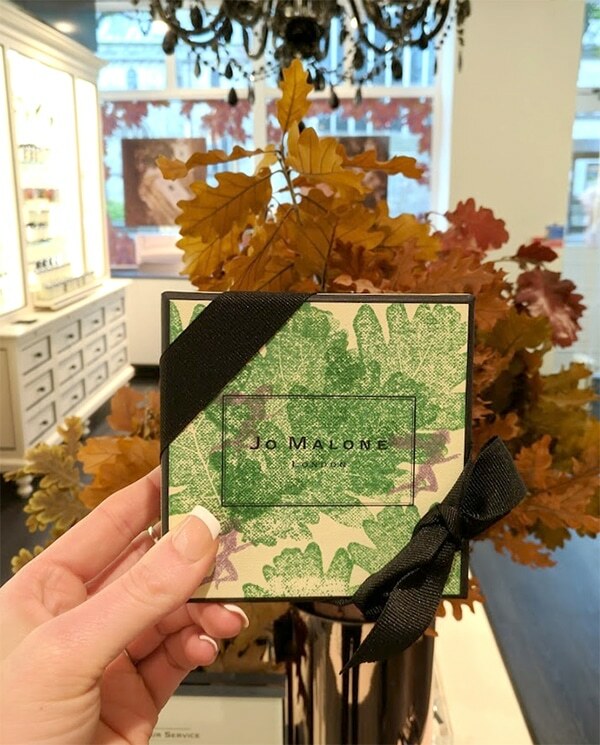 I’ve been to Jo Malone before with Alice, but it was lovely to spend a whole afternoon there getting to know more about the fragrances and the company! 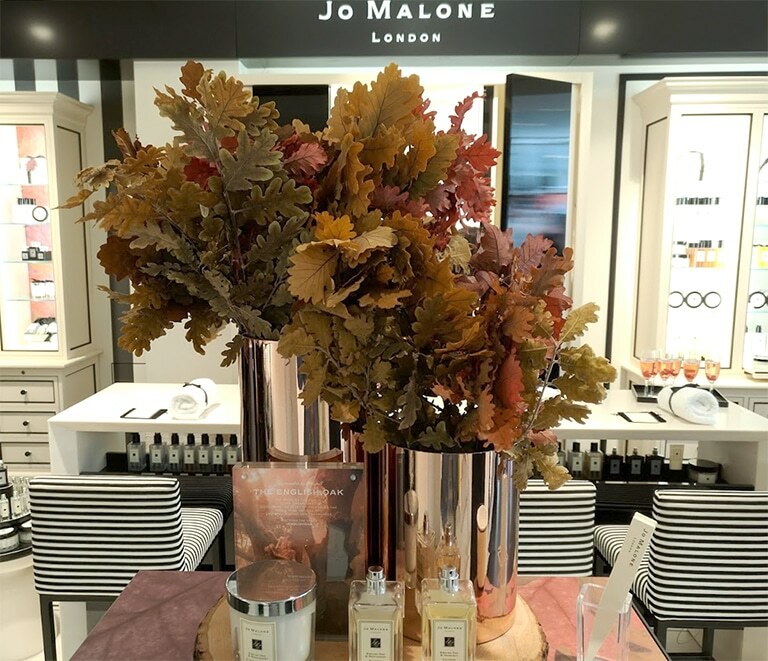 The English Oak fragrances are beautifully autumnal and English Oak absolute is an exclusive to Jo Malone for 5 years. 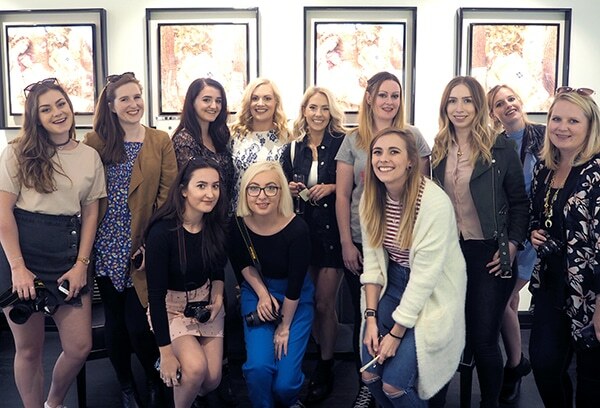 They wanted a fragrance that’s quintessentially English and what could be better than the mighty oak? 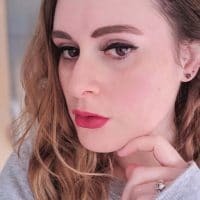 I absolutely loved the blueberry and bay combining scent and the English Oak and Hazelnut fragrance was definitely my favourite fragrance of the two, so I picked those for my massage. 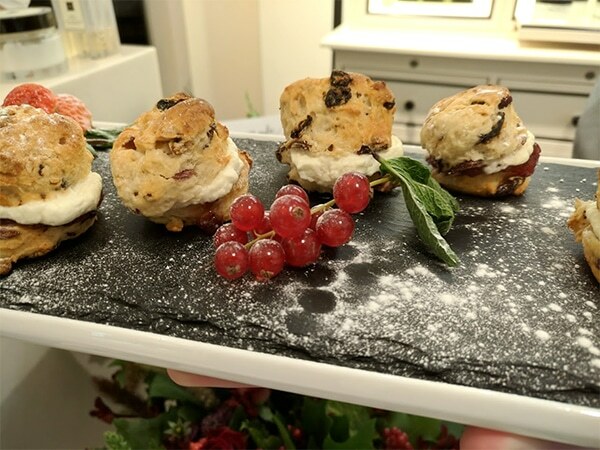 Firstly, Louise mixed the Blueberry & Bay body and hand wash with a little water and frothed it up for a really soft and relaxing massage! 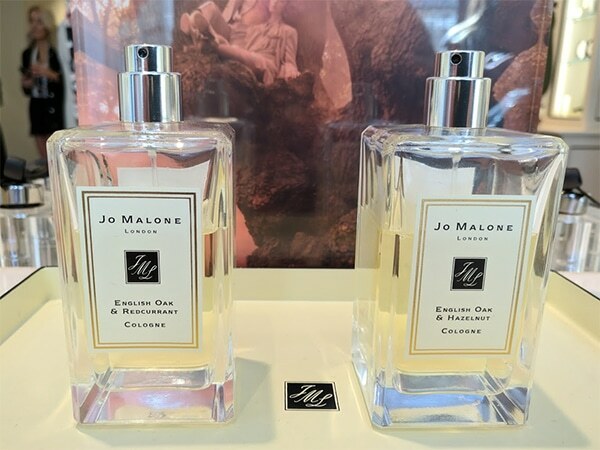 Once Louise had massaged my arms and hands with the froth, she wiped it all off with a warm towel and then sprayed my arms with English Oak and Hazelnut 🙂 My jacket still smells of it now!! 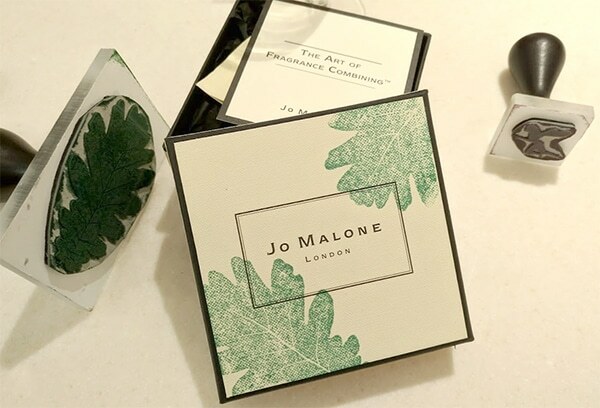 After scones and more prosecco (or lime infused water if you’re me) we got to decorate our own Jo Malone boxes that contained little samples of Wood Sage and Sea Salt cologne, Peony and Blush Suede shower oil and Pomegranate Noir body créme for us to take home. We all had leaf and fairy stamps and everyone decorated theirs differently. Unfortunately I kinda messed mine up a little as I didn’t realise we needed something underneath for the stamp to print properly. Ooops. The top one is Millie’s and the bottom one is mine! 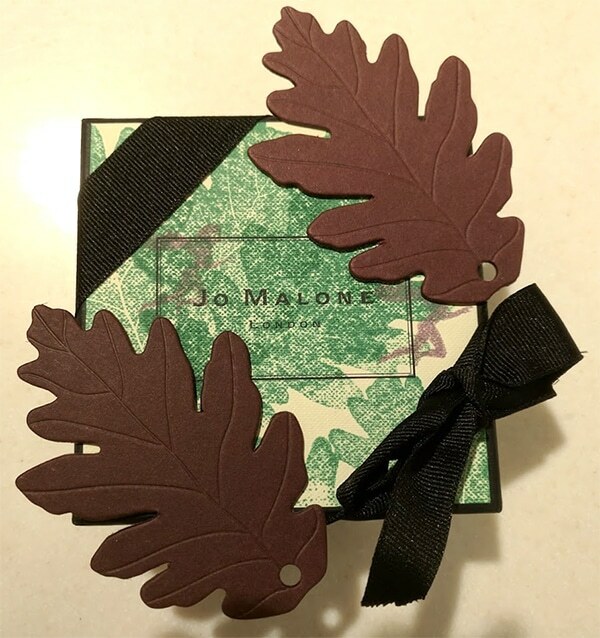 We then finished off our boxes with *the* Jo Malone ribbon and got an English Oak bag to take them home in 🙂 We also got these cute leaves that we got to spray with our combining scents and favourite English Oak scent! 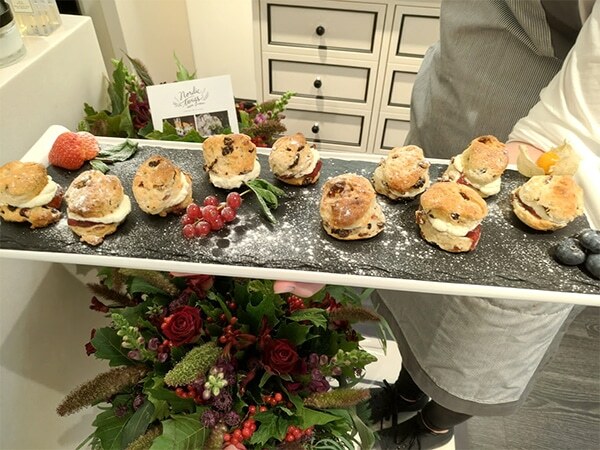 *I was invited by Jo Malone London to check out the new English Oak collection but all views, love of autumn and scones, are entirely my own. Sounds like great fun! 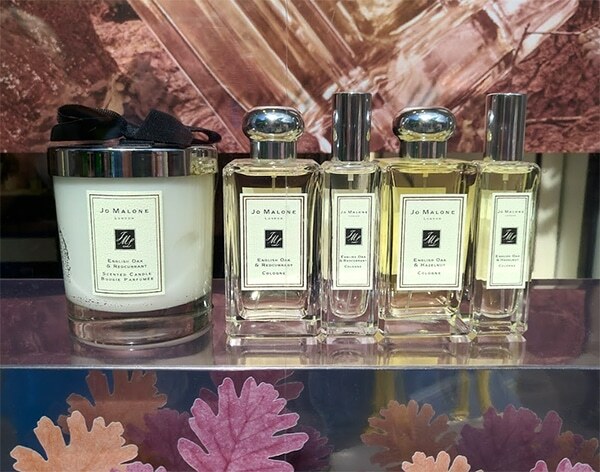 I’ve yet to try the new scent – I’m loving the Wood Sage & Sea Salt at the moment. My other fav is the Peony Blush. My JM candle recently ran out so maybe I’ll need to invest in another! !